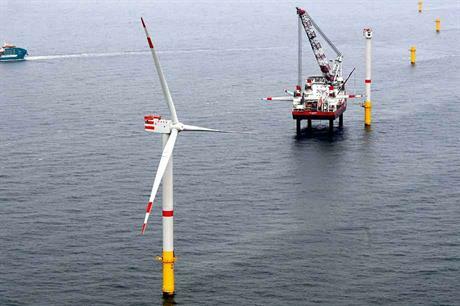 GERMANY: Some were perplexed, others shocked when Danish developer Dong Energy and German utility EnBW succeeded in Germany's first offshore wind auction with bids for zero support for a total 1,380MW. Even with the developers not having to pay for the marine grid connection to shore, how can offshore wind survive without support in the wholesale electricity market? The average base and peak prices in the German day-ahead wholesale electricity market in March 2017 were €31.70/MWh and €37.18/MWh respectively, falling to €28.87/MWh and €34.36/MWh in April, as reported by European Power Exchange Epex Spot. Yet, the companies seem certain that wholesale electricity market prices will rise from their current extremely low level by the time their projects go live in 2024, to a level that will support economic operation. Is this realistic? Factors affecting future German power prices include the nuclear phase-out by the end of 2022. "There seems to be a consensus in financial circles that closure of nuclear-power plants in Germany alone will boost wholesale power prices by €8/MWh," said Giles Dickson, CEO of WindEurope. Other aspects include a possible coal and lignite phase-out programme in Germany, as well as European CO2 trading mechanism adjustments that could raise CO2 emissions allowance prices enough to reduce electricity generation from fossil fuels and take overcapacity out of the market. Indeed, electricity-price forecasts indicate wholesale prices of more than €60/MWh for most of the operating period of the Dong and EnBW projects, according to an analysis by Nera Economic Consulting released in May. However, a power-market price analysis by consultants Energy Brainpool investigating the revenue for offshore wind farms without subsidy warns that simply predicting average wholesale base or peak power prices is not enough. While offshore wind projects receiving a support sum per megawatt hour can still offer electricity when prices go negative, those without support will switch off when this happens to avoid running up losses. Energy Brainpool’s "standard scenario" — which assumes 80% renewables electricity in gross German electricity consumption by 2050 — predicts that an offshore wind turbine could achieve revenue of €53/MWh in 2025, rising to €76/MWh in 2035. Its electricity price modelling suggests that in 2025-2035, due to periods with negative pricing, offshore wind farms without support will only be able to market an average 95% of their possible generation. So in 2025, offshore wind revenue per megawatt — calculated as 95% of €53/MWh multiplied by 3,200 assumed full load hours — totals €161,120/MW per year. Revenue from EnBW’s 900MW He Dreiht wind farm would thus amount to around €145 million/year, rising to €231,040/MW/year or €208 million/year in 2035. EnBW said on 13 April: "The anticipated returns are considerably above our capital costs and are thus attractive." As construction will not start for several years, Dong and EnBW could, however, see their successful bids as "real options", the Nera Economic Consulting analysis suggests. They have effectively acquired an option to await technological, electricity-price and other developments before taking final investment decisions in the early 2020s, it said, noting they face only relatively small penalties for project withdrawal compared with the overall investment volume. Still, zero bids could bring other challenges. Under German offshore wind-auction rules, should the lowest bid in the second transitional tender, to take place in 2018, also be zero, this will set the highest price for the "central model" auctions, beginning in 2021, with 10% potential leeway. "But 10% of zero is zero — how will projects be selected when all bids would have to be zero?" said Gerhard Soekeland, managing director of Sea Wind Holding. "Current legislation wasn’t written under the assumption that bids would be zero. It looks as though the rules for the central model will have to be altered." Soekeland pointed to speculation in the market on whether offshore players will end up having to quote for a payment to use the offshore sites or the grid connections.